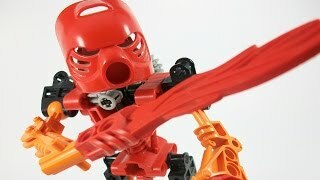 Tahu the fire spirit and the fiercest of the six Toa, and the most feared - you don't want to get into a fight with Tahu if you can help it. 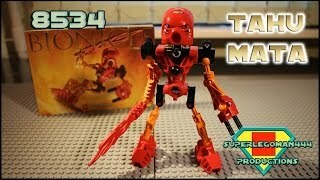 Tahu is most at home in the hot molten world of the Mangai Volcano where he surfs on lava flows, using his sword of flames to cut through rocks and keep the lava moving down towards the ocean. He is hot-headed and irrational, with a flaming temper. He has the least patience of all of the Toa, and often jumps into a situation without thinking, which often gets him and the other Toa into trouble!